Do you love great coffee? I am one of those that take my coffee very seriously, it is one of the most important parts of my day. Dancing Moon Coffee sent me some fabulous whole bean coffee to try, and tell you all about and I am loving the flavor and body. Dancing Moon Coffee is small batch roasted from single source beans, it is strictly organic, mold free and is fair trade compliant. They use only the highest standards in roasting and with the single source plantations it is always a consistent great cup of coffee. Dancing Moon Supports our U.S. Armed Forces with their coffee! Being married to a Marine, I was so thrilled to learn that a portion of the proceeds from every single sale of Dancing Moon Coffee goes to the Semper Fi Fund. This was set up after 09/11 to provide immediate financial assistance and lifetime support of the wounded, critically ill and injured members of the United States Armed Forces, and their families. This coffee is a superior tasting fresh and nutty meld of boldness with a richness that brings it full circle. It is never bitter or sour tasting and when ground fresh before brewing it is on of the special coffees that keeps me coming back for more. I love to serve this to guests and it is often that I have to brew a second pot as everyone loves the flavor and profile of this coffee. When you are used to having a strong cup of coffee, I think it is easy to get used to having a bitterness as well and with Dancing Moon, that is just not the case. I have made espresso with this and iced coffee and neither were bitter. I love that it is versatile and so flavorful. 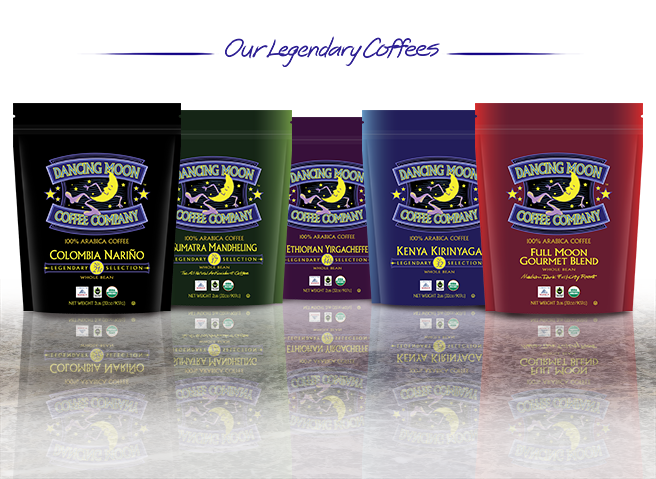 If you are a coffee aficionado the Dancing Moon Coffees should be on your must try list, I think you will love the flavor and boldness that ends up in your cup. If you want to purchase this coffee you can pick some up here and they have different varieties so make sure you try them all. You can also follow them on Facebook to make sure you never miss a new offering. I would love to hear your thoughts on this coffee.